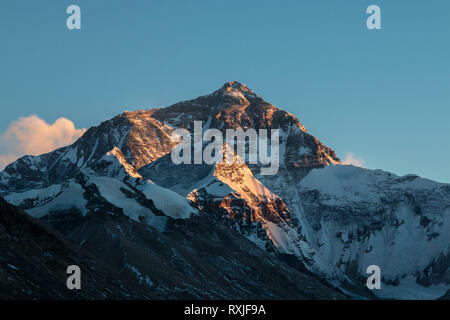 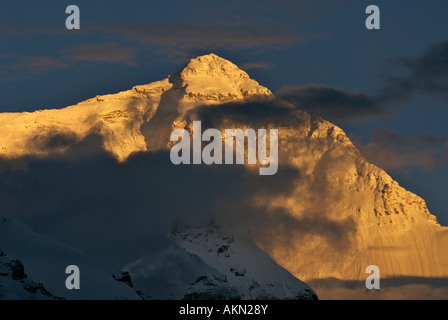 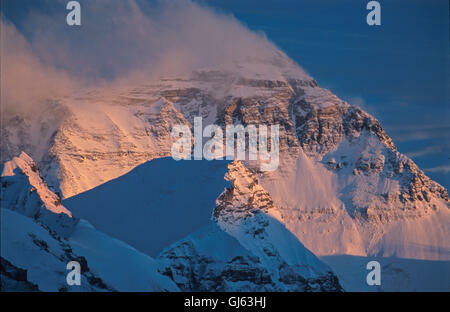 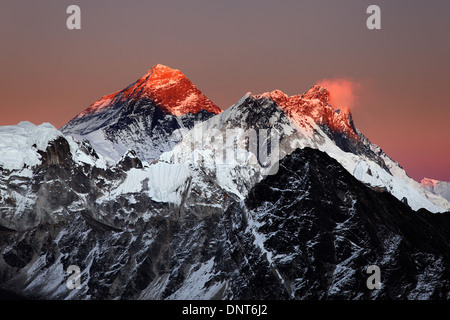 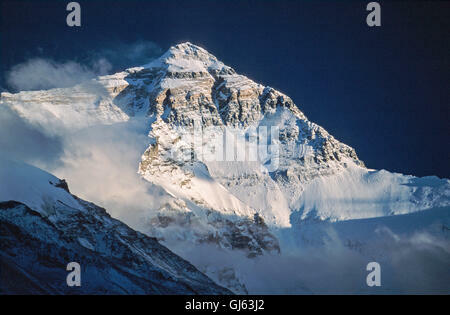 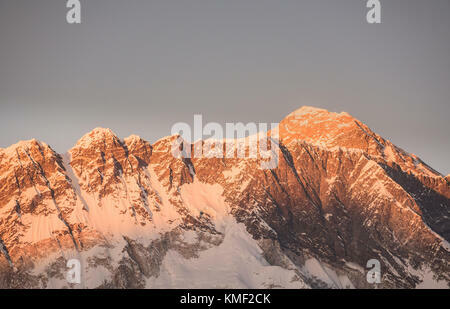 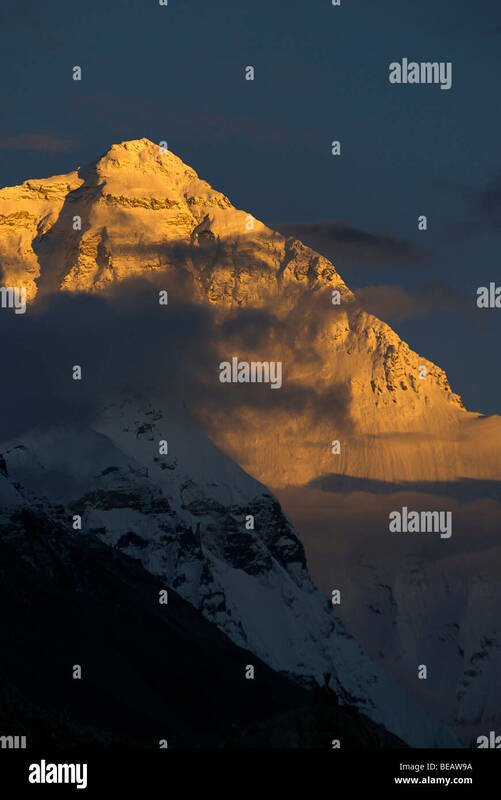 View of Mountain Everest, the highest peak on Earth, at sunset. 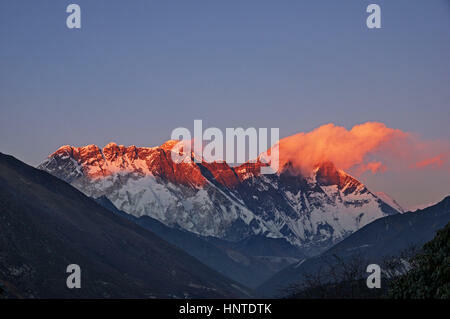 Viewed from the north (Tibet) side. 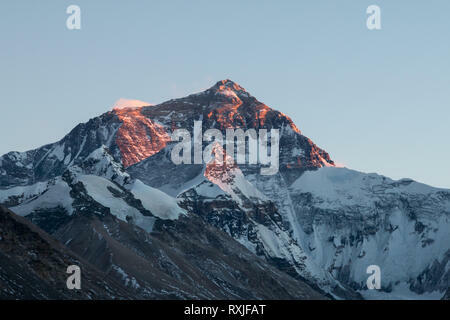 View of Mountain Everest, the highest peak on Earth, at sunset. 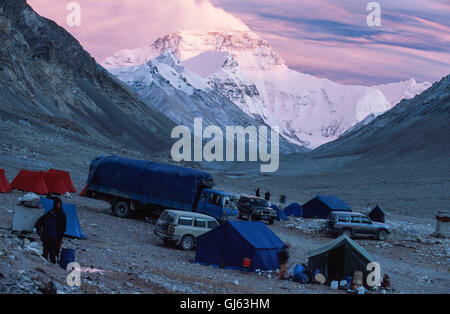 Viewed from the north (Tibet) base camp.